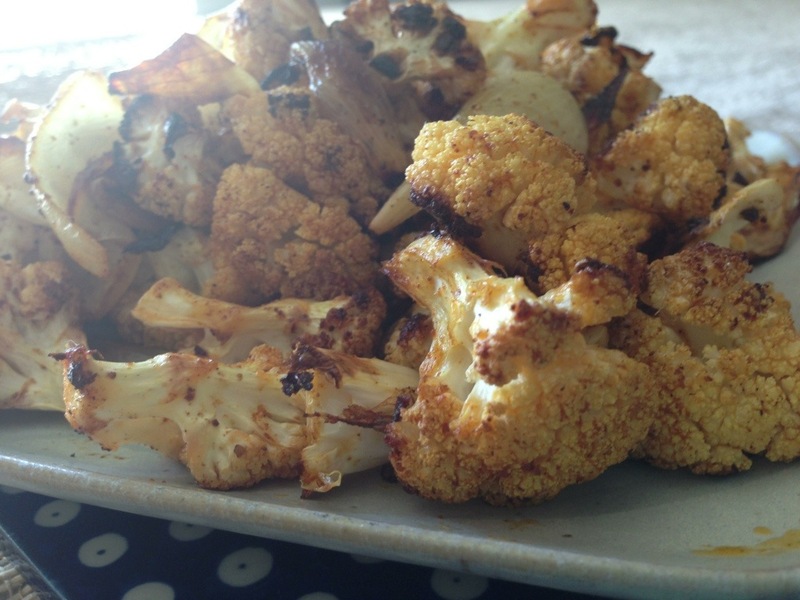 Cauliflower is one of the most versatile vegetables! I made this curried version to serve with my Moroccan turkey meatballs this week. Try it- you’ll love it! 1. Preheat oven to 450 degrees. 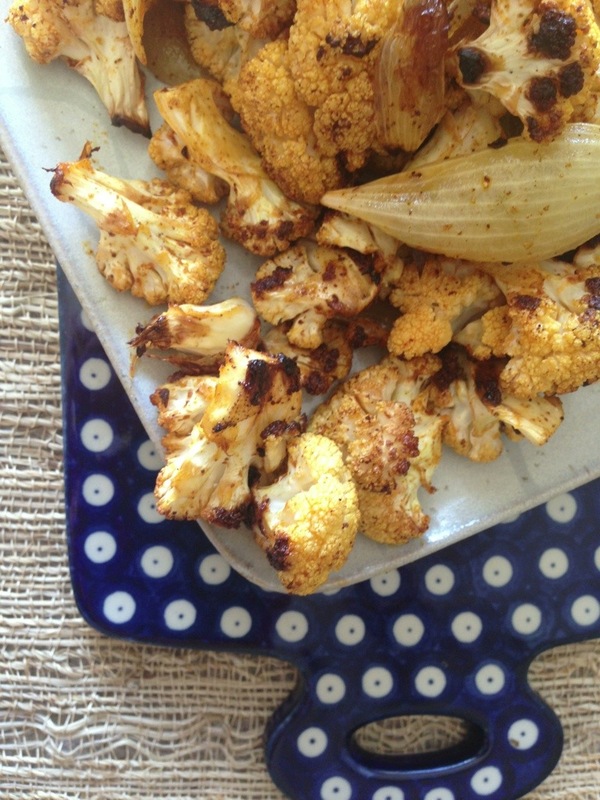 Place cauliflower and onion pieces on a baking sheet lined with aluminum foil. 2. In a bowl, combine all remaining ingredients to make a curry marinade. Pour this all over the cauliflower and onions. Stir them around on the baking sheet to coat well. 3. Roast for 25-30 minutes, turning the pieces over once midway through. They are done when fork tender.